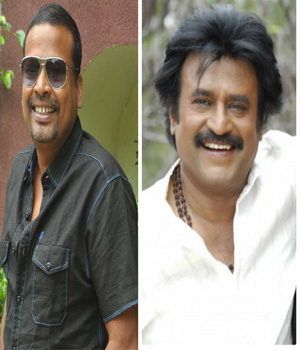 John Vijay to fight with Rajinikanth ? Kabali film featuring Superstar Rajinikanth in main lead role is gearing up to begin its shoot schedules from September 17th. Meanwhile here is the buzz that, Prakash Raj might be replaced by John Vijay who has shot in to fame with Samar, Kalakalappu et al., However lets wait for an official confirmation from the makers end on this Vinayaka Chaturthi. Radhika Apte will be sharing screen space along side of Rajinikanth in this gangster based action entertainer. Pa Ranjith is the director while Dinesh and Dhansika are playing prominent roles. Write & Share about "John Vijay to fight with Rajinikanth ? | Kabali Tamil Movie News | Cinema Profile" !